This morning, this news was all over the Internet; in my in-box; and the basis for numerous phone calls. 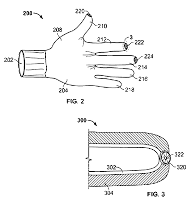 As if I, the Glove Guru, knew about Apple’s patent application for a winter-friendly I-Phone glove? FYI, yours truly, already introduced a “line” of cold weather cell phone gloves in November. I can confirm to you that an application published by the US Patent and Trademark office reveals that Apple may be exploring the idea of selling gloves which are friendlier to touch screens. If you don’t want to wait for any “Glove System” from Apple, check out our friendly to touch screens Freehands Glove Line. We offer 3 models, in 5 Unisex sizes, and their inexpensive. Oh, and you don’t have to get any subscriptions. I guess we’ll have to start working on more colors for next year. No way am I going to let Steve beat me at Gloves. We’re taking a short break from the Holiday Glove Rush. But WOW, the snow storms this year certainly made our glove life interesting. Additionally, based on customer calls & e-mails, I’ve been informed by our customer service department that it looks like the USPS (US Postal Service) has let us (along with our customers) down this year falling behind by days. Not fun after working so hard. Maybe some delays are snow related but not in LA, Miami or the South. Next week, I’ll share our top sellers for ’08 (since we are a customer centric business) and begin to talk about real issues in the Industrial Glove markets. I read a post this morning from the Taking Stock Blog (one of my favorites). Sue is our local Retail Guru and also writes a column for the News & Observer newspaper. She constantly has great tips on shopping (even nationwide stuff) and her post this morning made me remember that we qualify for her difficult challenge. 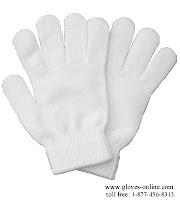 How about Great Gloves Gifts for under $5 and remember those Stocking Stuffers. For those that want to splurge this year, how about some Fur Lined Chinchilla Gloves. Thanks for the idea, Sue.